If you're looking for the hottest, most vibrant colours for your hair, then this is the product for you. 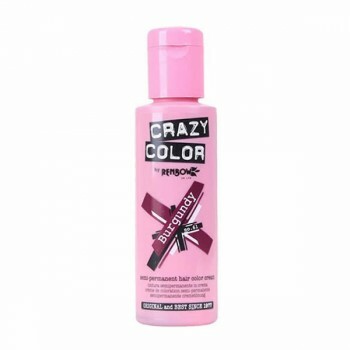 Crazy Color was launched back in the midst of the punk rock explosion and has been loved worldwide ever since. The heart of the brand has been kept pumping by its loyal following and cult status. In every iconic pink bottle comes a colour that will rocket your world. Vamp it with Fire or Amplify with Pinkissimo, our huge range of colours are perfect for the most fearless but there is also a couple for the fainthearted. Crazy Color is for you if you want something that will turn heads!